A Blast from the Past - Pop Rocks! Anyway, I thought it would be great to let Austen and Peyton experience the sensation of having Pop Rocks in their mouths. Here they are both trying them out. I'm surprised they both liked them...or at least Peyton did at first! Austen is one of those kids who is very into sports. He could watch it for hours on television if we let him. It doesn't matter what it is...golf, tennis, basketball, football or soccer. As a matter of fact, he likes watching it live as well and doesn't act like a typical kid his age running around and not paying attention to the game. 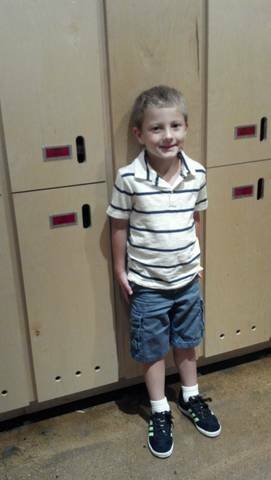 In fact, while watching his Uncle Mark's soccer team, his Auntie Nina asked him if he would like to go with her to the concession stand to get some candy. "No, thank you," he replied, so he wouldn't miss a minute of the game (Peyton quickly jumped into Nina's arms and once again Nina won her over with the mention of chocolate!). Austen's always been one of those kids that likes to observe what's going on and then if he gets an opportunity to execute what he's seen, he tries....most times, in my living room much to my dismay (this kid needs a backyard!). Anyway, he's also quick to ask, who we want to win so he can cheer for the appropriate team or individual. 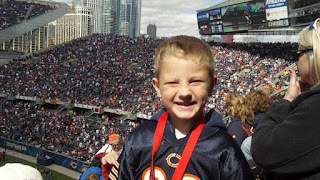 So it was no surprise that when Tom came up with two tickets to the Chicago Bears football game, he chose to bring Austen (after I gave my stamp of approval of course!). Here he is all suited up and ready to go in his Chicago Bears apparel. And, a took the liberty of holding a before game interview with Austen. Lastly, Austen looking happy from the stands. The bachelorette party that told him he was the cutest kid ever and wanted to take pictures with him at the tailgate before the game, must've made his day. Of course, Tom took credit for Austen's good looks. Like his sister, I think he just got the best qualities of both of us. Her favorite movie right now is Black Beauty and she is a big fan of horses. I think I was 8 or 9 when I fell in love with horses. Not Peyton. She's 2 and she thinks they are awesome. She also loves to sing Old MacDonald Had a Farm. Then she'll stop and ask, what did he have on the farm, mommy? And you'll have to say a pig or a cow and then she'll make the appropriate noise and continue singing. It's one of my favorite moments when I hear her go around and ask me, Tom and Austen - one after the other - what he had on the farm. Peyton also likes to take care of her dog, Adler, like she is one of her babies. Here's a video of Peyton giving Adler some extra special love. I love that she loves Adler just as much as I do. 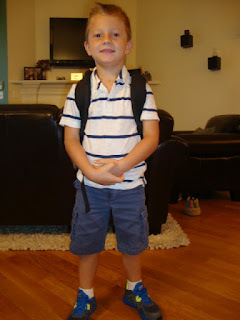 Last week was Austen's official first day of kindergarten. 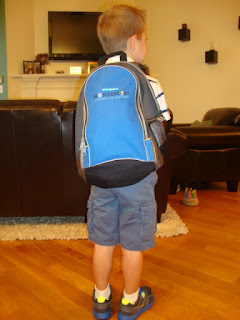 Sort of anticlimactic when your kid has essentially been going to school since he was 3 months old (complete with backpacks, supplies, inside/outside shoes, etc.) but nonetheless, an important milestone that we wanted to make a big deal out of and mark with some official photos. We were thinking Austen might have been a suburban kid by the time kindergarten rolled around but like many families in this real estate market, we're still in the city - at least for one more year. Even so, I think Austen will get a first rate kindergarten education and beyond from his Montessori school. Still, I can't believe that my first born is headed to kindergarten. In the blink of an eye, I'm sure I will be saying, I can't believe he's off to college. So here are some pics of Austen's first day so I can freeze this moment in time. "Where are we going?" asked Peyton. "No, we're not," she said matter of factly. This was my conversation with Peyton for much of our 10 hour trip home from Hershey, Pennsylvania yesterday. Either she really liked Hershey or she's in that phase where she asks the same question over and over just to annoy you! We started off our adventure at the amusement park. 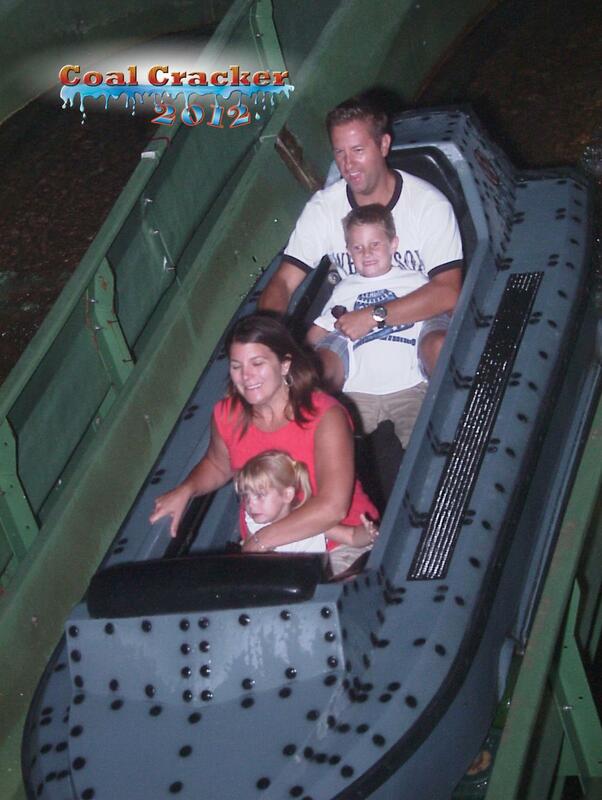 Austen rode a roller coaster and we all went on a big boat roller coaster. Peyton's favorite rides were definitely ones with cars and horses (mainly the carousel). She is really into horses lately. Austen said his favorite ride was the "Scrambler." The one that goes round and round and whips you from side to side making you think you're going to crash into the fence just as it whips you back the other way. He did like driving the cars too. Here are some shots from our 1.5 days of rides! We also went to chocolate world where you toured a simulated factory. We saw a 3D show about Hershey and also got to make our own desserts. Here's Peyton and Austen making theirs. 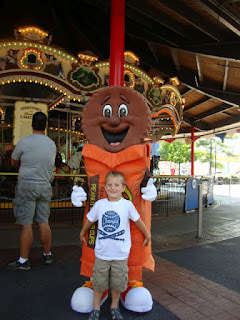 Hershey was a good time, but I have to say I don't think I'll be having any more chocolate for awhile.